Le Bernardin, which specializes in a French presentation of seafood, is ranked the number one restaurant in NYC by New York Magazine, and number one in America by the reader-reviewers of Zagat. Uploaded by boston.com. 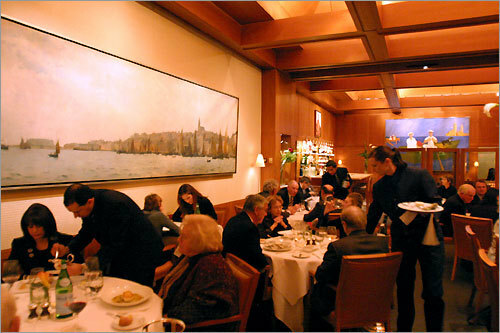 This elegant restaurant, located in midtown Manhattan, is consistently ranked as one of America’s finest restaurants. Since its opening in 1986, it has consistently received raved reviews from the food press – and from satisfied diners. 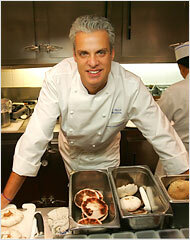 Chef Eric Ripert. Uploaded by nytimes.com. 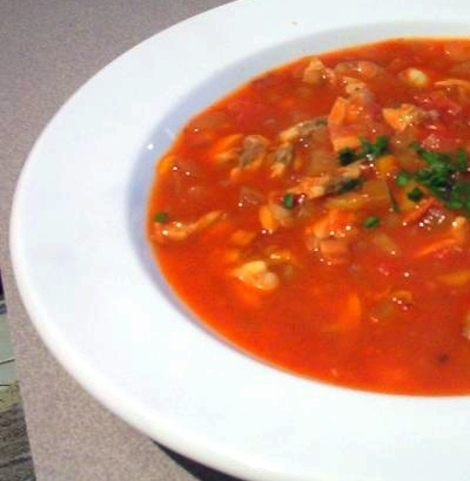 Most Americans know about New England Clam Chowder (with cream) and Manhattan Clam Chowder (with tomatoes), but there's also Rhode Island style, made with a clear broth. 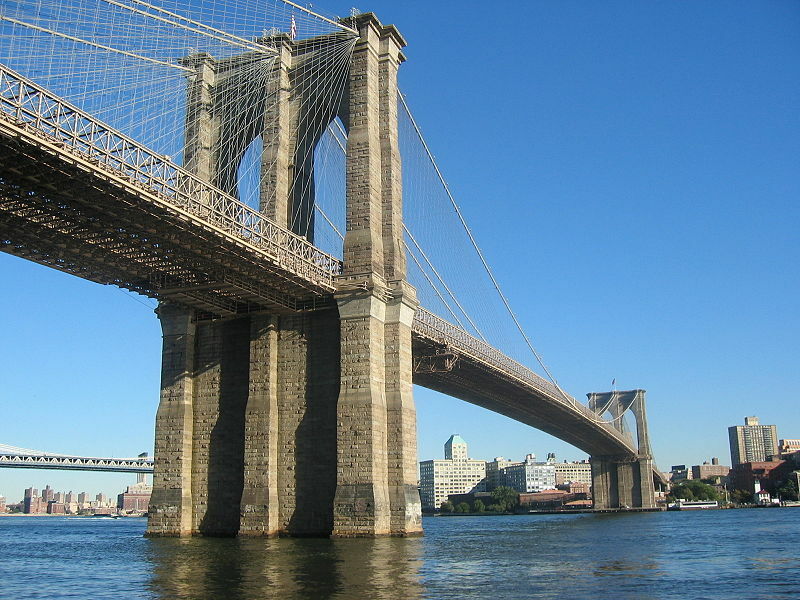 Uploaded by wikimedia.org. Let’s not fight the battle of clam chowders here. Most Americans outside of New England know of basically two variations on this dish – New England style (made with milk or cream) and Manhattan style (with tomatoes). I like them both, though they’re very different flavors. New England style. Uploaded by trufflemutt.com. But in researching this post I find that there’s a third kind of clam chowder, call it Rhode Island style. It’s made with a clear broth. 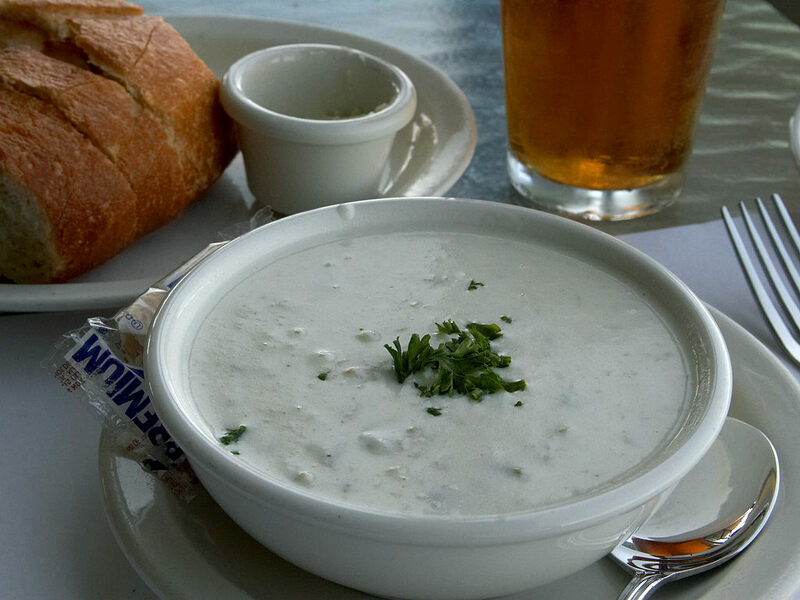 One source said that tourists prefer the white chowder, while locals choose the clear. 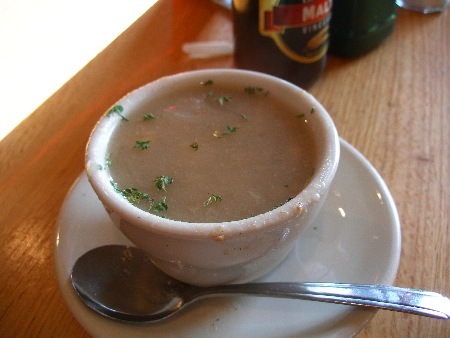 Many of the ingredients of clam chowder remain the same, regardless of color. Clams, of course; usually diced potatoes and onions; butter; corn and celery, sometimes; and occasionally a little salt pork or bacon for flavor. Rhode Island style. Uploaded by foodgps.com. Clam chowder is a hearty beginning to any seafood dinner, or can be a main course by itself. But let’s agree on one thing together, right now. It’s pronounced the New England way. Not “chow-der,” but “chow-dah.” It’s also more fun to say it that way. 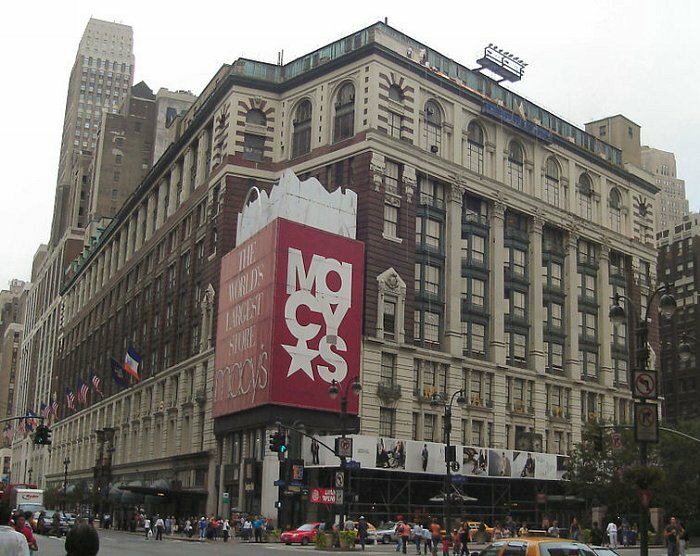 Macy's Herald Square store in Manhattan has more than two million square feet of retail space. Uploaded by earthdocumentary.com. 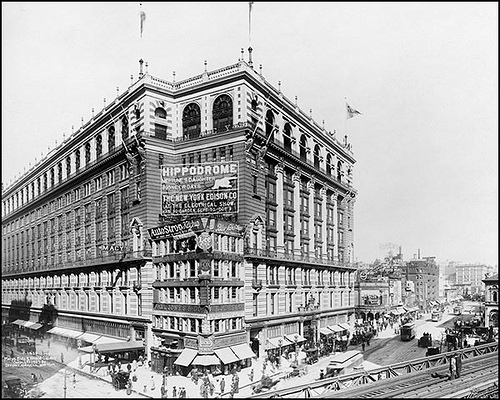 Macy's in 1907. Uploaded by flickriver.com. building, an art deco masterpiece, is designated as a National Historic Landmark. With about two million square feet of retail space, Macy’s claims to be “The World’s Largest Store.” Maybe it is, but it’s certainly the one that’s been permanently linked in the minds of Americans everywhere as what New York elegance is all about. The Thanksgiving parade (Great American Things, November 25, 2009) for which the company is justifiably proud, dates back to 1924, and is still one of the most anticipated events of the holiday season. In the last century, Macy’s merged with other department store chains and is now a national brand found at many regional malls. But there’s still something magical about that store in Herald Square. Sure, the branches are Macy’s, but the Manhattan store is MACY’S. In this year of excellent movies, Kramer vs. Kramer won Oscars for Best Picture, Actor, Director, Supporting Actress, and Adapted Screenplay. Uploaded by hundland.org. 10 – Bo Derek, Dudley Moore, and Ravel’s “Bolero.” Directed by Blake Edwards. Alien – Did it belong in the sci-fi or horror category? Yes. Starring Sigourney Weaver, directed by Ridley Scott. All That Jazz – Lots of dancing, lots of dancer drama. Starring Roy Scheider, directed by Bob Fosse. …And Justice for All – “You’re out of order! This whole trial is out of order!” Al Pacino goes nuts, directed by Norman Jewison. 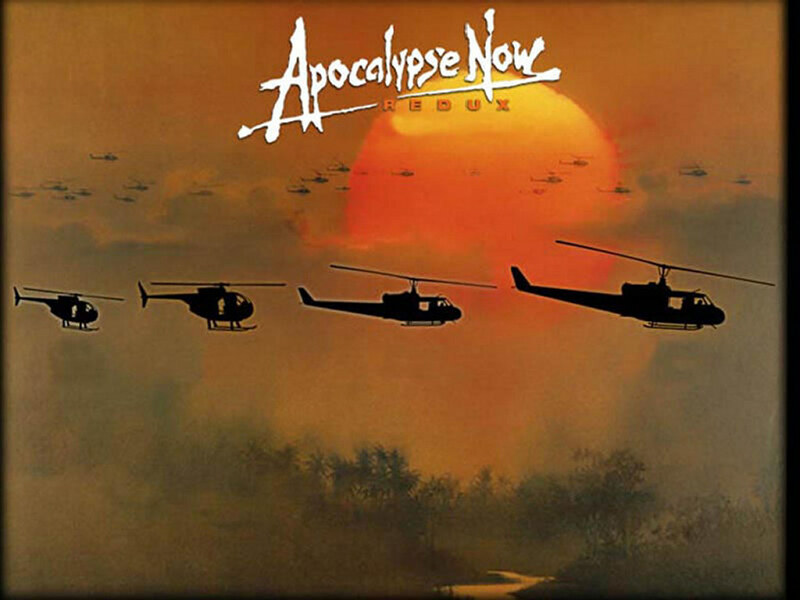 Apocalypse Now – The true madness of Vietnam. With Robert Duvall, Marlon Brando, and Martin Sheen. Directed by Frances Ford Coppola. Being There – Peter Sellers’s tour de force as Chauncey Gardner. Directed by Hal Ashby. Breaking Away – A father, a son, a bicycle race, a surprise hit. Directed by Peter Yates. The China Syndrome – The movie that has crippled America’s nuclear industry. Starring Jane Fonda and Jack Lemmon, directed by James Bridges. 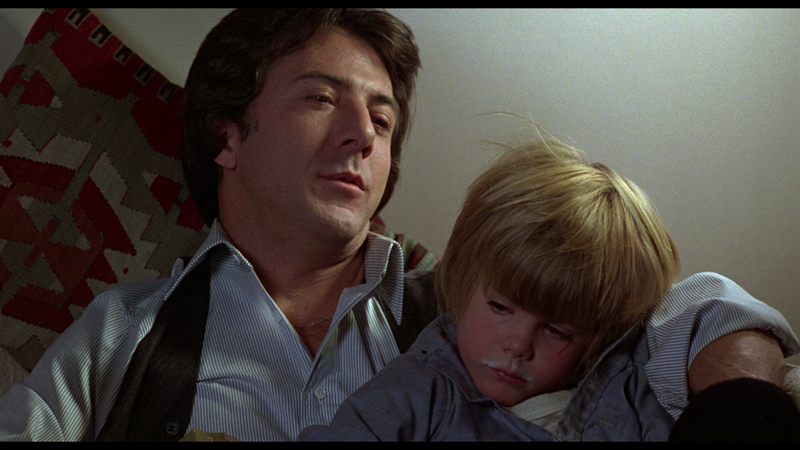 Kramer vs. Kramer – Dustin Hoffman and Meryl Streep fight for custody of their child. Directed by Robert Benton. Won Academy Award for Best Picture. 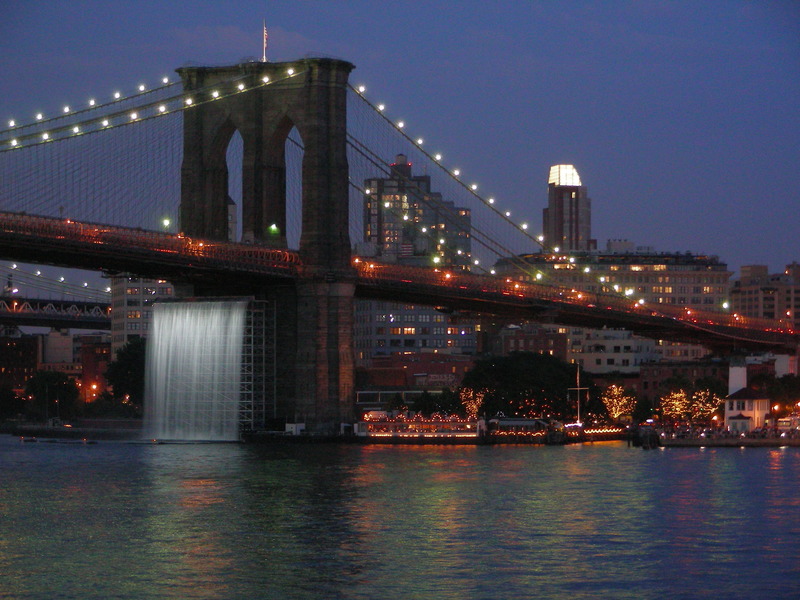 Manhattan – I wanted to move to NYC after I saw this movie. I still do. Woody Allen directs, with Diane Keaton and Mariel Hemingway. The Muppet Movie – The highest-grossing movie of the year. Directed by James Frawley. Norma Rae – Sally Field proves she had true acting chops. Directed by Martin Ritt.